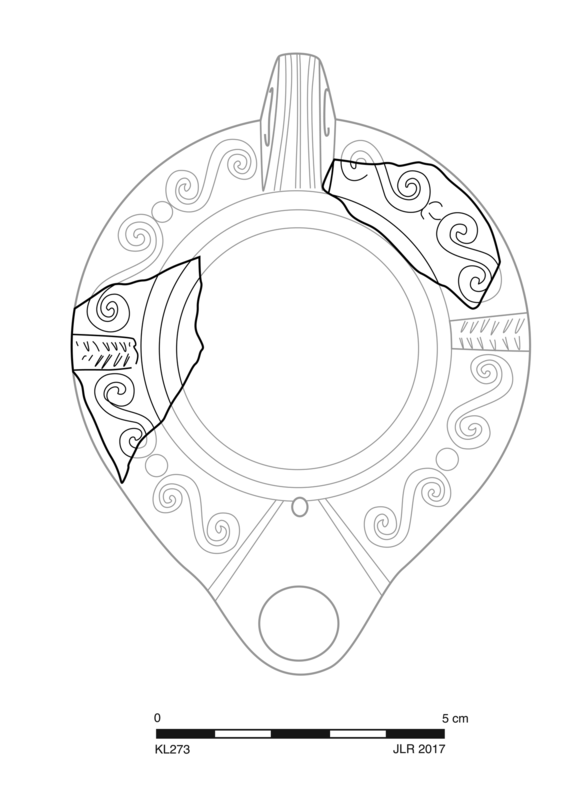 Circular to oval(?) outline. Circular, concave discus has two narrow, rounded framing rings. Wide, slightly sloping shoulder has four uneven S-curves per side in pairs around small globules; panels at medial axis have palm branch motif. Middle Roman Athenian lamp fabric: red, somewhat soft, and slightly gritty with voids; cf. KL274. Unslipped. 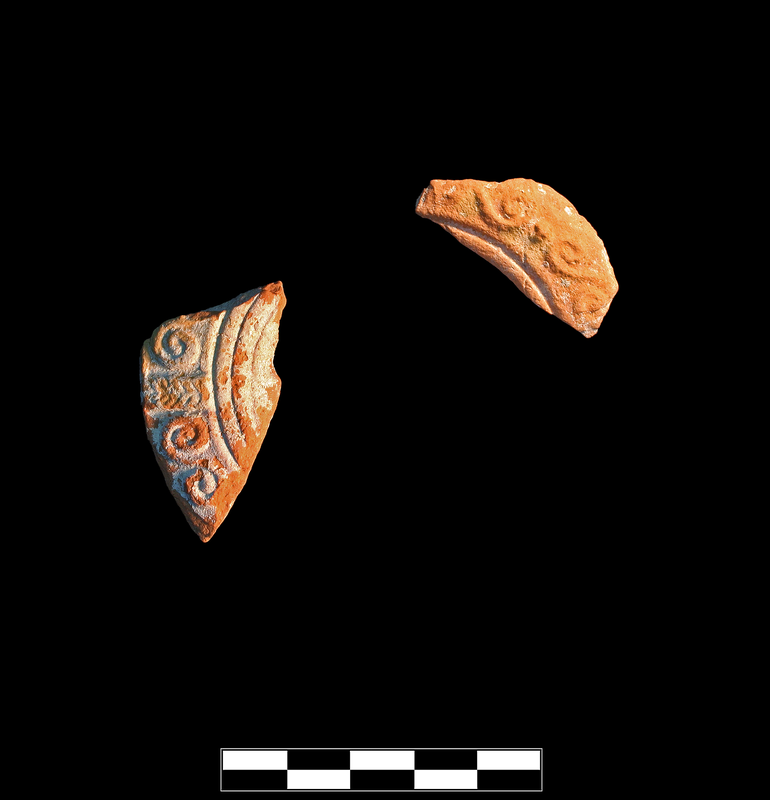 Two nonjoining sherds (a, b) preserve less than one quarter of shoulder on opposite sides of lamp. Moderate, extensive abrasion; light, extensive film of encrustation.